The National Library of the Republic of Bulgaria is the largest library in the country and the oldest cultural institute in post-liberation Bulgaria. 4 April 1878 – Sofia’s teacher and secretary of the city council, Mikhail Bobotinov, proposes to establish a “public library, necessary for the cultural and educational development of Sofia”. 28 November 1878 – A Provisional Library Commission was appointed to set up and open the library “in accordance with its existing Regulation”. This date (new style 10 December 1878) is considered the date of founding of the National Library. 6 May 1879 – Sofia Public Library received the status of a state institution under the name of Bulgarian National Library at the suggestion of Marin Drinov, chairman of the Library Commission and head of the Education Department. 22 February 1897 – The Law of deposit of printed editions in the national libraries, proposed by Konstantin Velichkov, came into force. 1900 –The National Library of Bulgaria was provided with its first own building, the former Citizen’s Club on 131, G.S. Rakovski Str., bought for the purpose. 1919 – StilianChilingirov was appointed Director of the National Library and he proposed to create an Archives Department to store the Archives of the Bulgarian Revival, kept until then in the Ethnographic Museum. 1924 – The National Library opened an Archives Department to store the Bulgarian National Revival Archive, founded in 1904. 1939 – The construction of a new building of the National Library started where the former royal manegeonce stood. 1944 – During the bombing raids over Sofia, both the old and the new buildings of the Library were destroyed. 16 December 1953 – The new building of the National Library officially opened. 1963 – The National Library officially changed its name from “VasilKolarov” to “St. St. Cyril and Methodius”. 1970 –An Ordinance on the functions and structure of the National Library was adopted. 1974 –Rules of study and research at the National Library were adopted. 1991 – The reconstruction of the National Library branch in Izgrevdistrict officially started. 11 August 1994 –The National Library was declared a cultural institution of national importance. 1999 – The Protection and Development of Culture Act was officially adopted. According to this law the National Library was a cultural institution of national importance. 2000 – The new Law on the mandatory deposit of printed and other typesof publications was officially adopted. VelikoYordanov, History of the National Library in Sofia: On the occasion of the 50th anniversary and 1879-1929 / VelikoYordanov- Sofia: State Printing House, 1930 – 360 p.: illustrated. KonstantinkaKalaidjieva. Materials about the history of the National Library: 1944-1978/ KonstantinkaKalaidjieva- Sofia: St. St. Cyril and MethodiusNational Library, 2003 – 660 p.: illustrated. RujaAndreevaSimeonova. 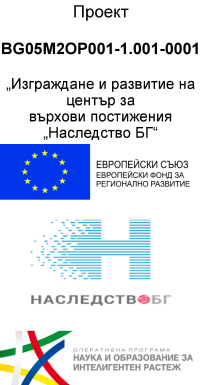 The Bulgarian National Library and its Directors (1879-2009)/ Editing, [introduction] BoryanaHristova. – Sofia: “HristoBotev”Publishing house, 2009 ([Plovdiv]: Nova Print AD). – 184 p.: illustrated.